David Russell was born in Dreghorn, Ayrshire, Scotland on 30 March 1911. He was the fourth of the six children of James Franklin RUSSELL and Jessie Richmond HERRON. 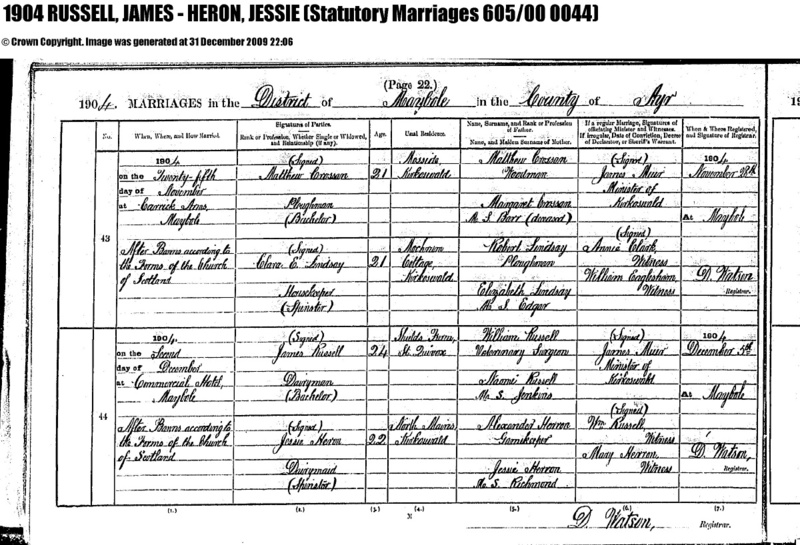 James and Jessie were married in Maybole, Ayr, on 2 December 1904. James, the son of veterinary surgeon William Russell was a dairyman. Jessie, the daughter of gamekeeper Alexander Herron was a dairymaid. Their six children were William (1905), Jessie Richmond (1906), Alexander (1908), David (1911), James (1912) and Frank (1916). All were born at Dreghorn, Ayr. 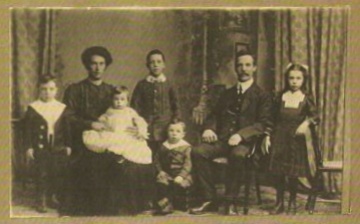 The Russell family taken in about 1912. 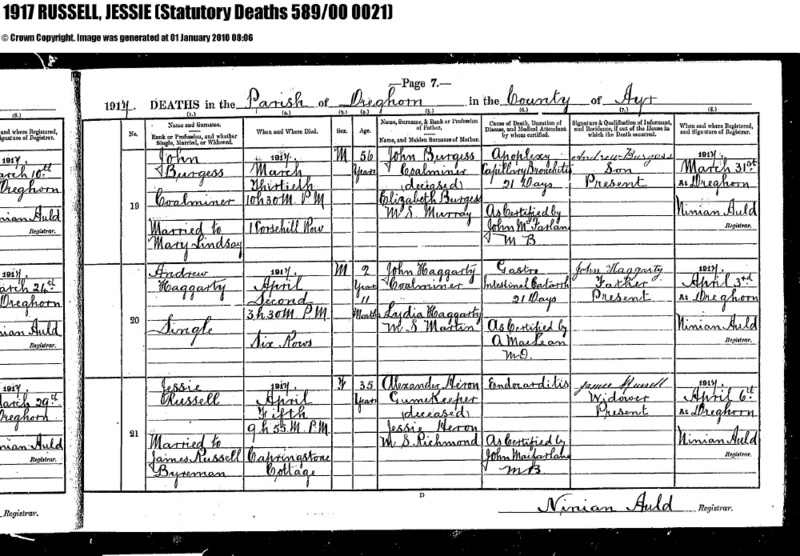 Jessie Russell died in Dreghorn on 5 April 1917, when David was six years old. 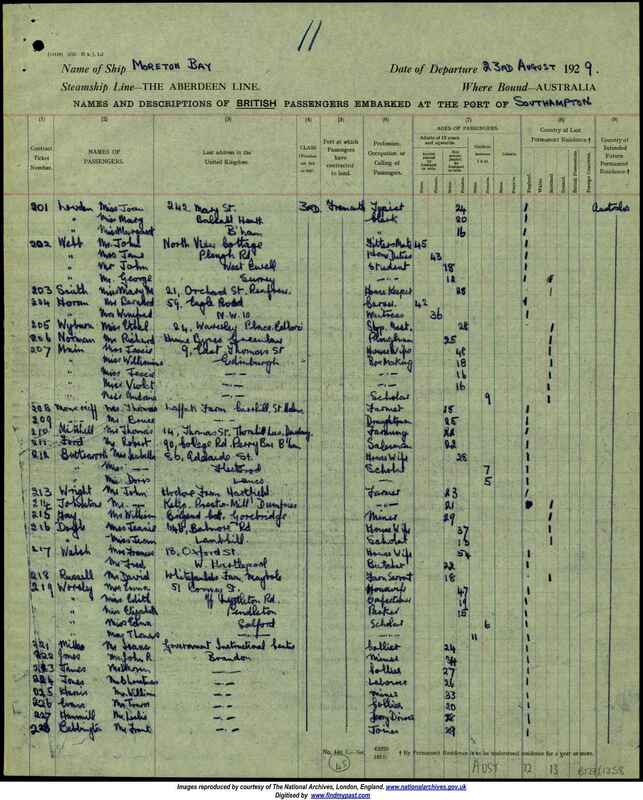 David left Scotland for Australia, departing on the 23 August 1929 from Southhampton on the ship "Moreton Bay", following his older brother William, who emigrated to Perth in 1925. David worked on his brother's farm for a few years then travelled around the Outback, before moving on to New Zealand. In 1938 he took up employment with the Hawkes Bay Hospital at Napier as an Orderly. He became engaged to a Napier girl Nancy Oliver (later to be Nancy Wilson). 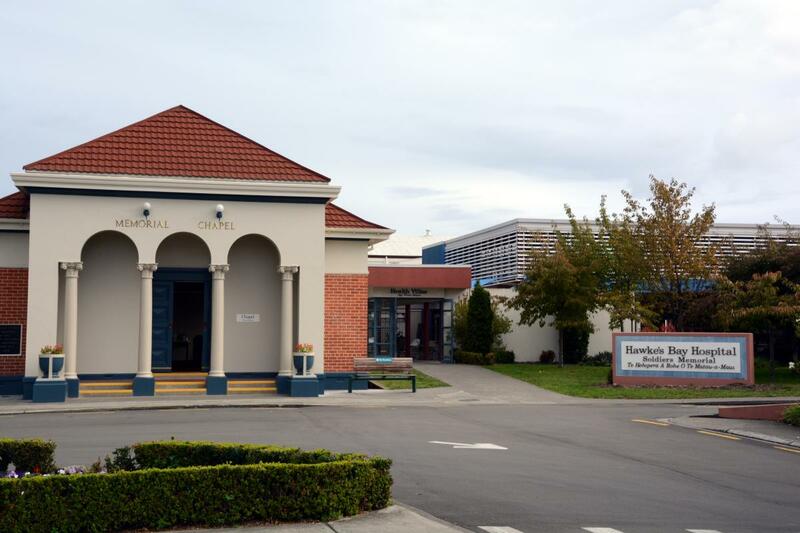 A ward in the Napier Hospital was later to be named after him and a plaque describing his gallantry was erected at the entrance of what became "The David Russell Ward". In 2005 following the closure of the Napier Hospital this plaque was re-dedicated in the Memorial Chapel at the Hastings Hospital. 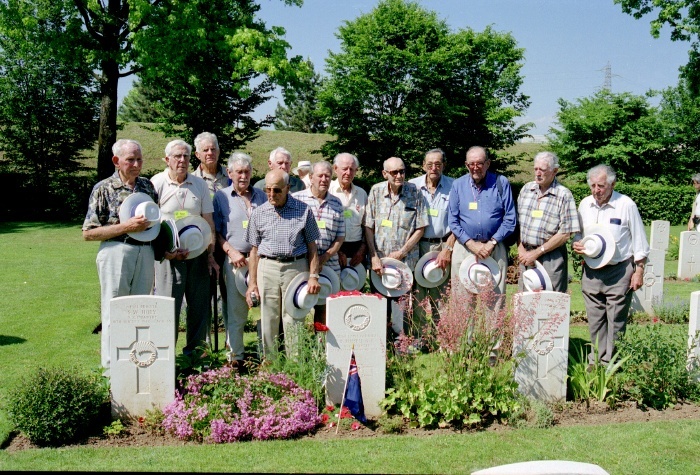 When war broke out in 1939 David Russell was amongst the first to volunteer. 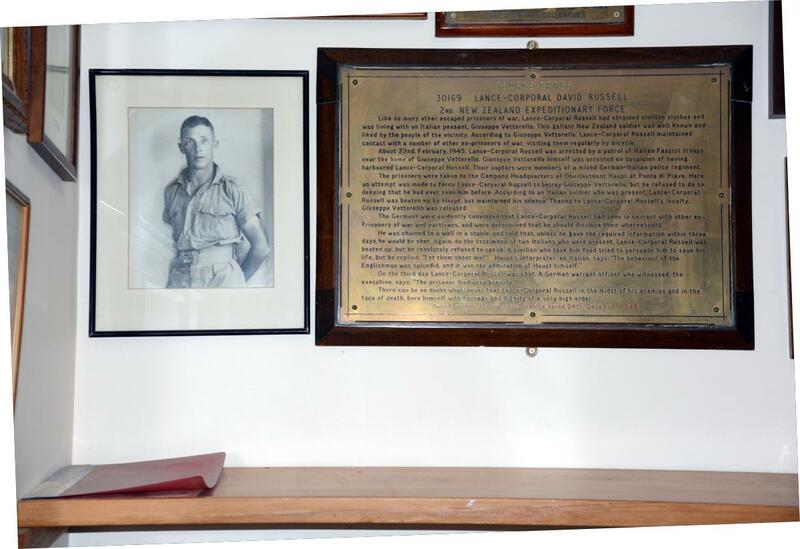 He sailed with the Second Echelon, first to Britain and then to Egypt. In Egypt he was posted to the 22nd Battalion NZ Infantry and saw action in Greece and Crete. 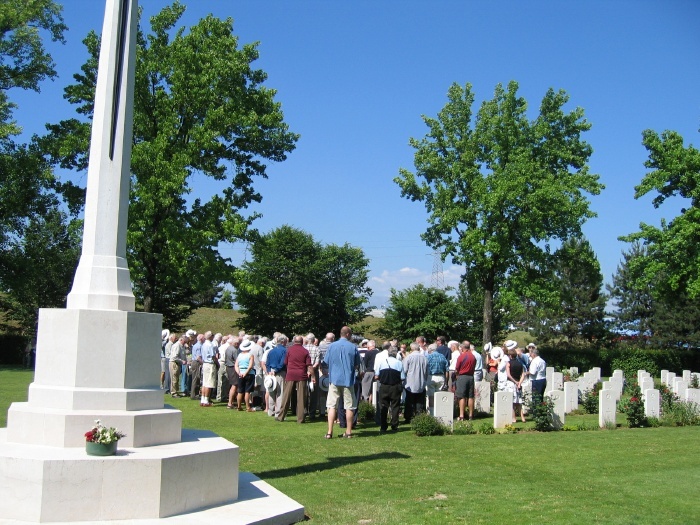 In 1942 in the Western Desert he was wounded and taken prisoner of war at Ruweisat and transferred to prisoner of war Camp PG57 in Gruppignano north of Trieste, Italy. 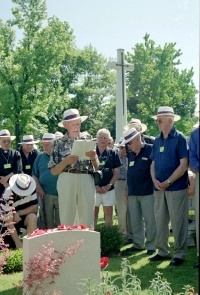 David Russell escaped during 1943 and joined up with Italian partisans in the area. He arranged for several escaped prisoners to be put in touch with an escape line to Yugoslavia. He was recaptured and returned to a prison camp, this time at Traviscosa near Udine from where he again escaped. 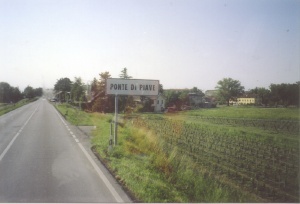 He was pursued south to the region of Ponte di Piave. Here he was hidden by Italian families. In this district he took up, yet again, assisting escaped prisoners-of-war and would visit them by bicycle. He was recaptured in February 1945 by a combined German-Italian Fascist patrol and handed over to the German Commander of the district. He was subjected to intense interrogation and beatings but resolutely refused to disclose any information about fellow escaped POWs or the Italian families who had been sheltering them. He was given three days to give the Germans the information they demanded or he would be shot. Chained to a wall in a stable he was again beaten and this time by an Italian Fascist who "used special methods". Even this treatment did not break his resolve and after 3 days he was taken from the stable and forced to stand before a concrete wall. Here David Russell was asked if he had anything to say but replied that he did not. He asked for a cigarette and smoked part of it. Throwing the cigarette aside, he stood to rigid attention facing the firing squad and died with cool calmness and heroic courage. His body was left where it fell, until the evening when it was wrapped in an Italian ground-sheet and taken by bullock cart to the local cemetery. David Russell was buried with great respect by local people. 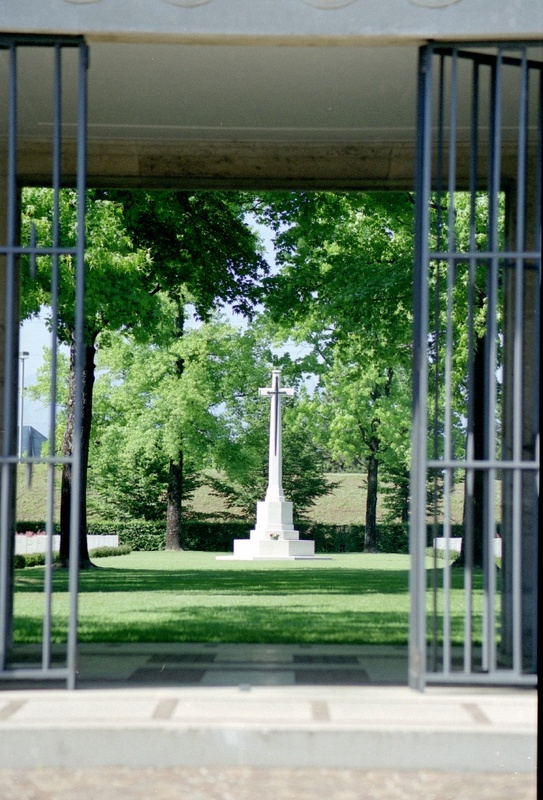 The grave selected was the first on the right inside the main gate - the place of honour. Later the Commonwealth War Graves Commission, against the firm wishes of the local people, removed David Russell's remains to the Udine Commonwealth War Cemetery. 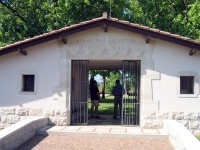 It is the practice in Italy to re-use grave sites, but the people of Ponte di Piave resolved to never allow his gravesite to again be used. They erected a stone memorial on the site. On the 50th anniversary of his execution a permanent memorial was erected to David Russell over the gravesite. 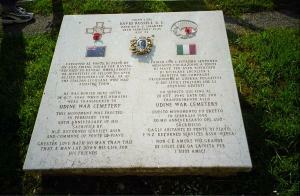 This colourful memorial records in both English and Italian his deeds of valour and his sacrifice is well known to the present-day generation of Ponte di Piave. The gravesite is never without fresh flowers. In December 1948 the award of the George Cross to David Russell was approved by King George VI. The citation is reproduced below. 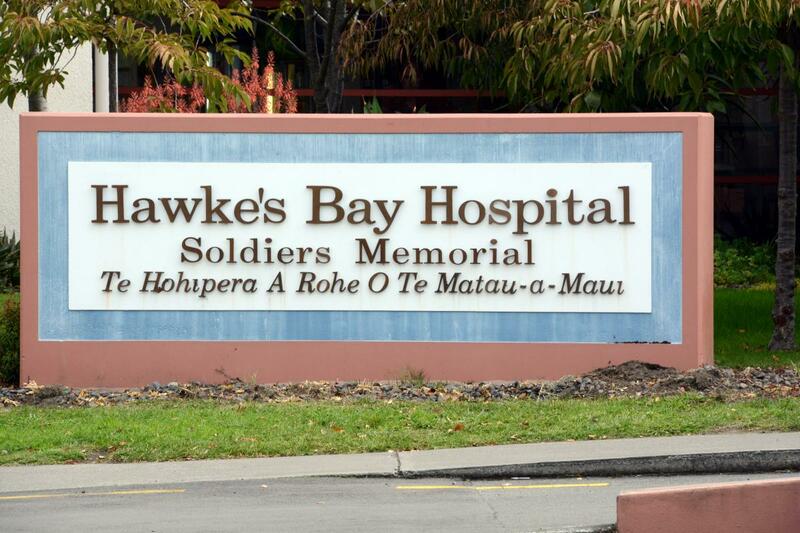 This saga of outstanding heroism is largely unknown to New Zealanders. Yet it can stand firmly beside that truly outstanding incident of World War I in which the British Nurse Edith Cavell was executed by the Germans for assisting English soldiers to escape. Her country honoured her by returning her body to Britain in 1919 and burying her remains alongside Norwich Cathedral. A statue of her was erected in St Martins Place, London. On the 26th July 1949 King George VI presented the George Cross to the father of David Russell. This high decoration was retained by the Russell family in Scotland for almost 50 years. 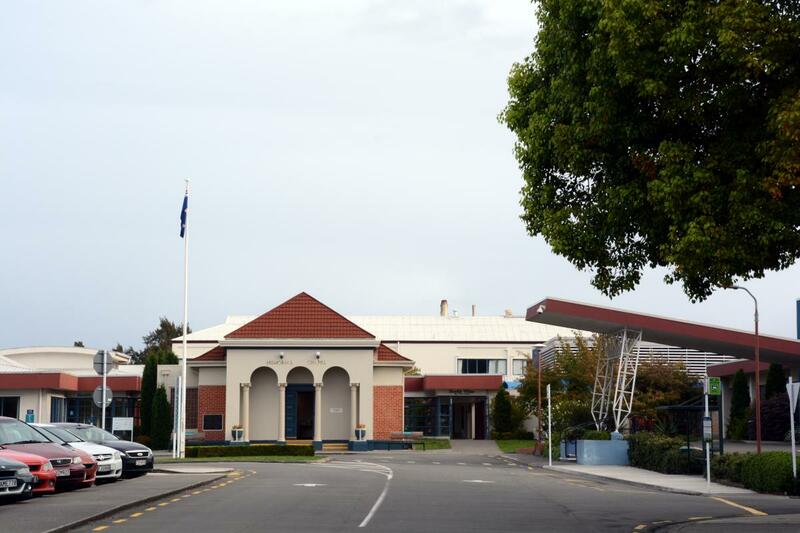 In 1998 the family placed the decoration with the NZ Army Museum at Waiouru, for safe keeping. (Incidently, it was one of the horde of medals stolen from the Museum in December 2007 and later recovered undamaged). "Like so many other escaped prisoners-of-war, Lance-Corporal Russell had obtained civilian clothes and was living with an Italian peasant, Giuseppe Vettorello. He was well-known and liked by the people of the locality. According to Giuseppe Vettorello, Lance-Corporal Russell maintained contact with a number of other ex-prisoners-of-war, visiting them regularly by bicycle. 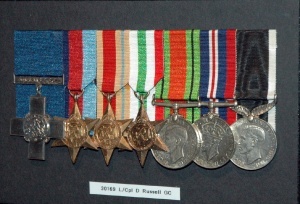 On about 22nd February, 1945, Lance-Corporal Russell was arrested by a patrol of Italian Fascist troops near the house of Giuseppe Vettorello. Giuseppe Vettorello himself was arrested on suspicion of having harboured Lance-Corporal Russell. Their captors were members of a mixed German-Italian police regiment. The prisoners were taken to the Compay Headquarters of Oberleutnant Haupt at Ponte di Piave. 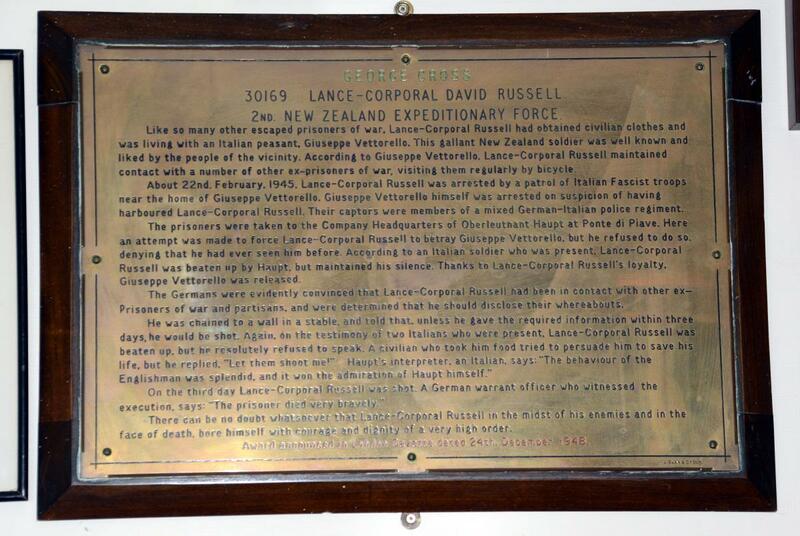 Here an attempt was made to force Lance-Corporal Russell to betray Giuseppe Vettorello, but he refused to do so, denying that he had ever seen him before. According to an Italian soldier who was present, Lance-Corporal Russell was beaten up by Haupt, but maintained his silence. Thanks to Lance-Corporal Russell's loyalty, Giuseppe Vettorello was released. 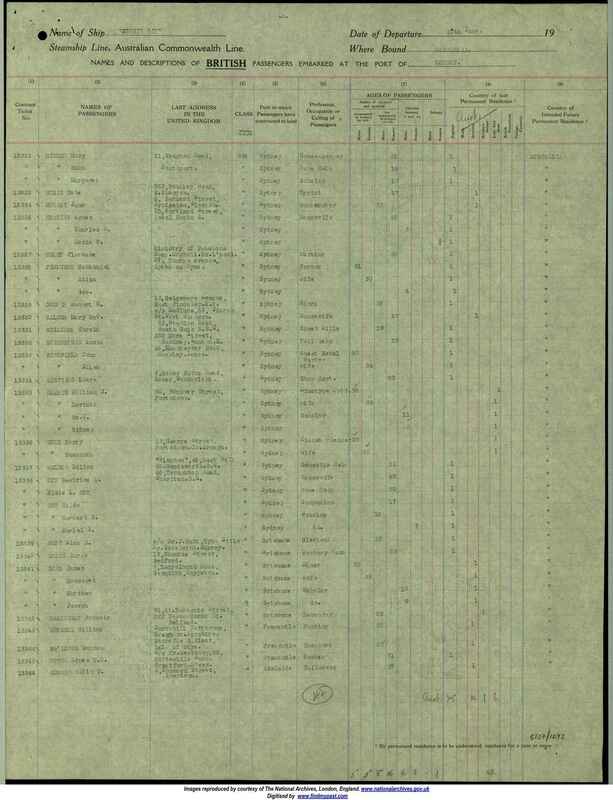 The Germans were evidently convinced that Lance-Corporal Russell had been in contact with other ex-prisoners-of-war and Partisans, and were determined that he should disclose their whereabouts. He was chained to a wall in a stable, and told that, unless he gave the required information within three days, he would be shot. Again, on the testimony of two Italians who were present, Lance-Corporal Russell was beaten up, but he resolutely refused to speak. A civilian who took him food tried to persuade him to save his life, but he replied, 'Let them shoot me'. Haupt's interpreter, an Italian says: 'The behaviour of the Englishman was splendid, and it won the admiration of Haupt himself'. On the third day Lance-Corporal Russell was shot. 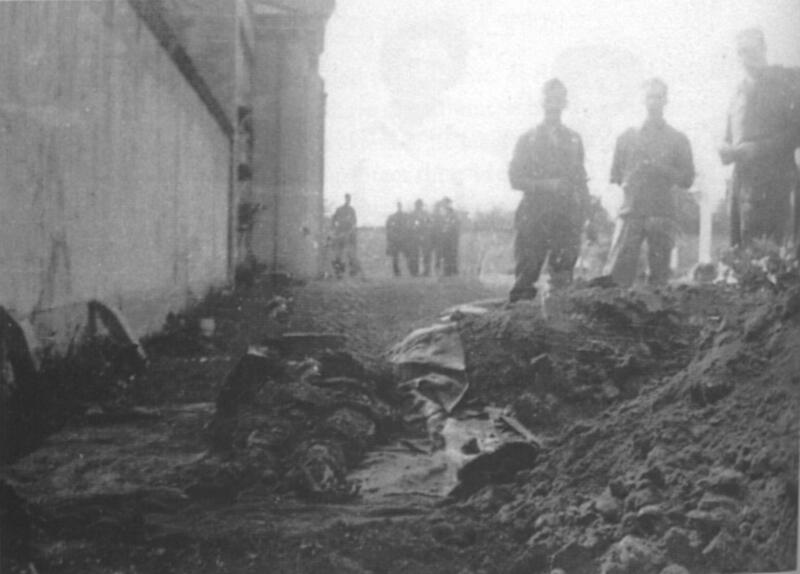 The German warrant officer who witnessed the execution, says: 'The prisoner died very bravely'. 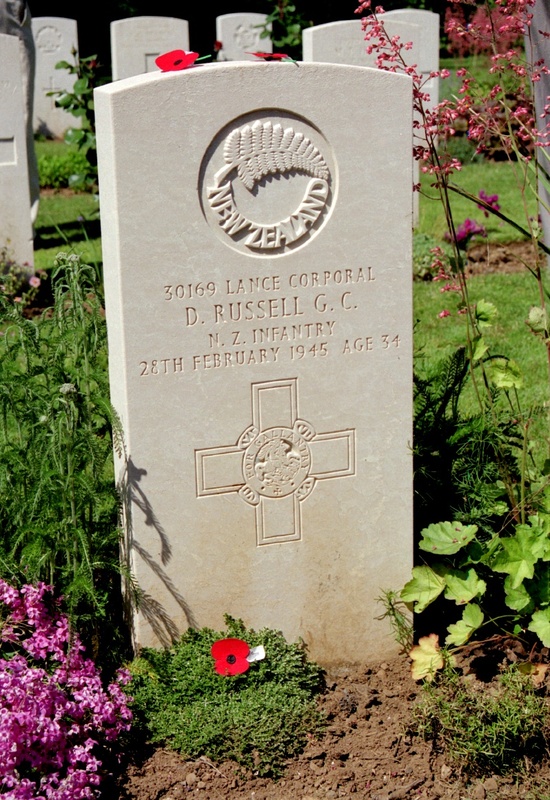 There can be be no doubt whatsoever that Lance-Corporal Russell in the midst of his enemies and in the face of death, bore himself with courage and dignity of a very high order." 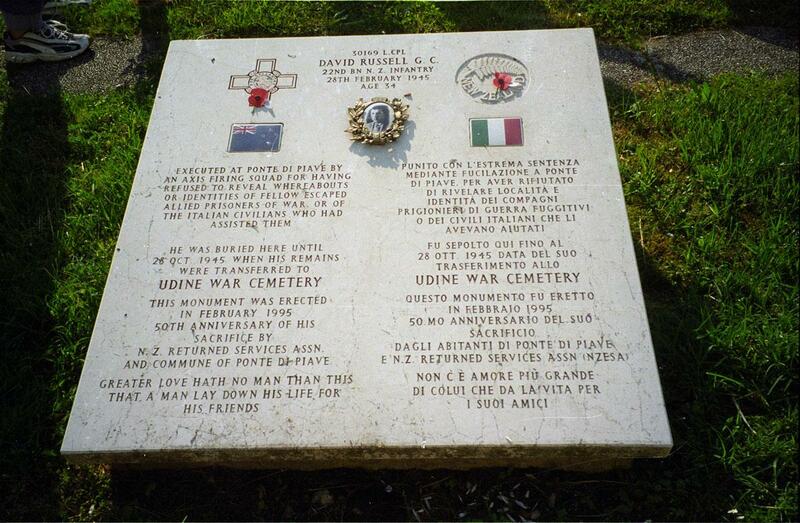 David Russell was buried in the village cemetery at Ponte di Piave by the locals, but after the War the Commonwealth War Graves Commission exhumed his body and re-interred it at Udine. Today, the site of his original grave is marked by a memorial stone. 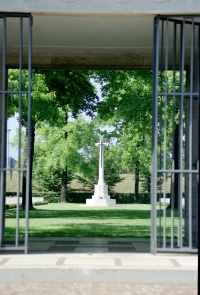 Udine Military Cemetery, a few miles north of Trieste is where many of the Commonwealth troops killed in the area are buried. 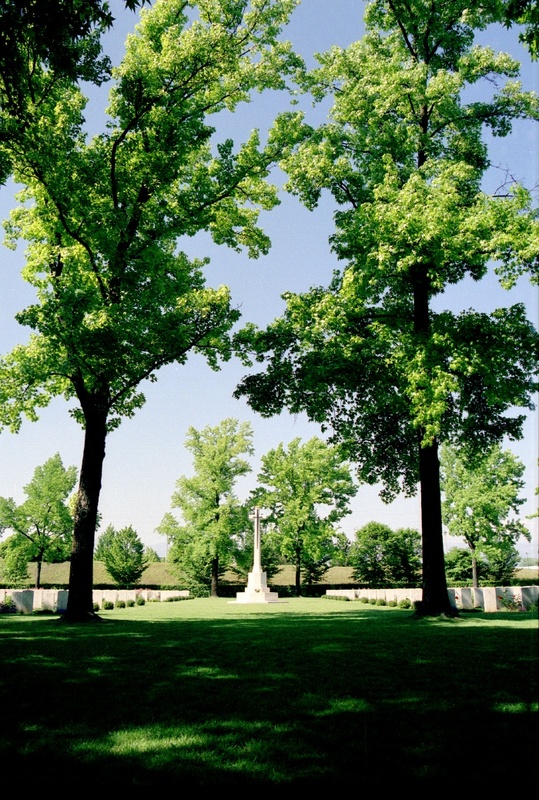 Of interest to the 22nd Battalion are two graves in Udine - both named Russell, both Lance Corporals, both from the 22nd Battalion and both buried in the same row. 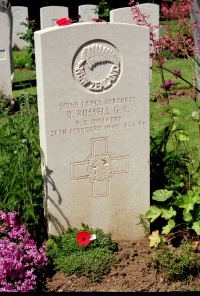 David Russell's headstone - note the different style of headstone with the usual cross replaced by the George Cross and the wording "For Gallantry"
In New Zealand there are several memorials to David Russell GC. 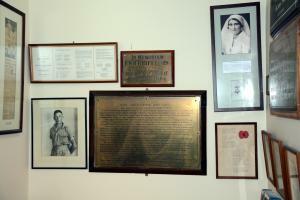 In the RSA Rooms at Katikati there is a wall plaque and photograph, and at the Memorial Chapel of Hastings Hospital, there is a photograph and brass plaque. 1939 and entered Trentham Military Camp 12th. January 1940. Battalion school of Instruction in 1942 and promoted to L/Cpl on 20th May. interned at Campo 57 Gruppignano north of Trieste. the partisans and escaped prisoners he would be shot. L/Cpl Russell resolutely refused to talk and was subjected to more beatings. On the third day L/Cpl Russell was shot by firing squad. King George V1 approved the awarding of the George Cross to 30169 L/Cpl. 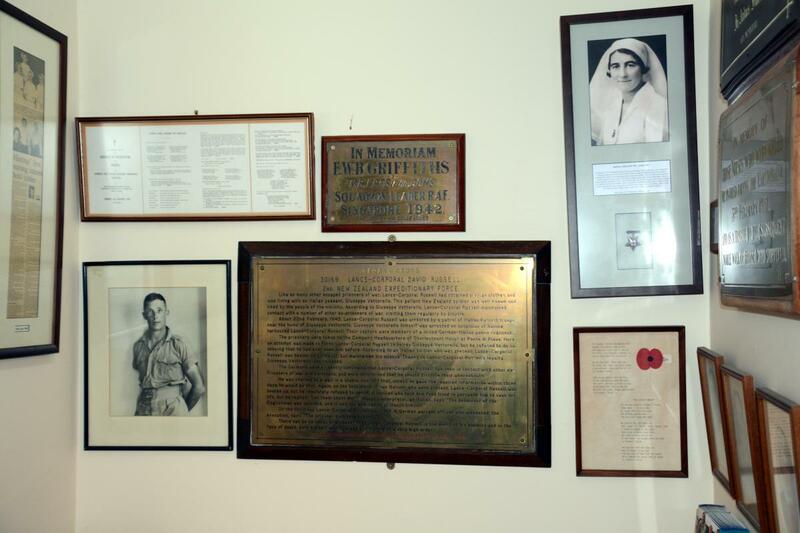 A memorial plaque was originally dedicated on the wall of the "David Russell Memorial Ward" at Napier Hospital, where David had worked as an orderly before the war. In 2005 the Napier Hospital was closed and a new hospital was built on the site of the Hastings Hospital nearby. The original Hastings Hospital entrance was retained and became the Memorial Chapel. A variety of memorials from the old Napier site were exhibited here. 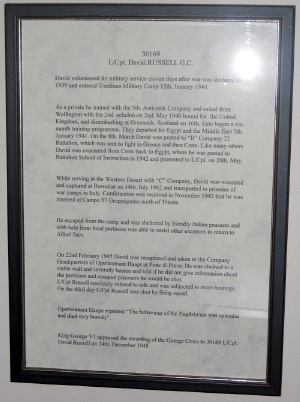 The plaque to David Russell features in the centre of a memorial alcove, just outside the door into the chapel. It is a rather alcove and not well lit. It is also used to store wheelchairs and other furniture. The brass plaque to David Russell, originally on the wall of the David Russell Memorial Wing at Napier Hospital. The wording is the text from the George Cross Citation. 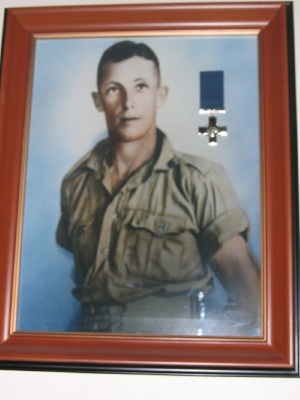 David Russell's personnel file, like that of those awarded the Victoria Cross, is now held by the National Archives in Wellington. It is available for public access as file AD36/14/28. A copy of the file is available here.